The results of many of the insurance and reinsurance industries leading players, over the first-half of 2016, show that one response to a challenging, competitive and softening market, is to try to spend your way out of it. Expense ratios are clearly on the rise among the majority of re/insurers, with some showing increases of two or more percentage points year-on-year in their Q1 and Q2 results. The insurance and reinsurance industry expense ratio is a key component of the combined ratio, that figure (most) re/insurers are trying to keep under 100%. Anything over 100% implies a loss, so increasing one aspect of the ratio, especially in a challenging market where returns on underwriting and investment are both down, is perhaps a slightly risky strategy. With the reinsurance market challenged by softening of rates, excess capacity, greater retentions, new strategies to internalise reinsurance, as well as the growing competition from new ILS and capital market players and re/insurers increasing use of third-party capital, the traditional market is seemingly trying to spend its way out of a potential crisis. There are a number of themes emerging, in terms of where the additional, in many cases incremental, spending is happening. In most cases the ultimate goal is to bring in new premium income, although some cases of spending also seem to target spending less in the future (by spending more now), to generate efficiency or develop a more direct pipeline to risk. Emerging markets, are one area of higher spend, with reinsurers in particular keen to access new markets to increase their diversification or gain access to new sources of risk. This is not a cheap endeavour, but it is a worthwhile one as the first into these markets do stand to benefit. New lines of business is another area of focus, with many companies having hired new teams to underwrite in areas of the insurance or reinsurance market where they haven’t focused before. Again this is not a cheap strategy and can be made even more costly if it takes time to get a portfolio constructed and the loss ratios under control. Both of the above, geographic or line of business expansion, can bring quick rewards though, if initiatives are well thought through and underwriting is disciplined. But similarly these two areas of spend can also take time to implement fully, as access to business is not always guaranteed and underwriting can take time to become profitable. So there will be winners and losers, those who gain quickly and those for whom it can take years to realize significant incremental profits from efforts to expand, making any spend in this area require commitment and a long-term view. Insurance technology (or insurtech) is another area where companies are spending more, in the hopes of making future gains. There have been a plethora of start-up incubators that have launched recently, with backing from global insurance and reinsurance players. These are clearly an investment in the future, as well as an exercise in controlling potential competition, as global players look to capitalize and profit on discovering (and taking stakes in) the next big insurtech thing. There’s also an element of wanting to exert influence on the direction insurtech is heading in, while making sure you’re at the forefront and able to capitalize on any start-up that threatens to radically disrupt the traditional insurance and reinsurance business model. As in other sectors, incumbent re/insurers are launching start-up hubs with the promise of runway capital and the benefit of taking equity stakes in any successfully incubated companies. But again, this all costs money, even if a young start-up is doing the legwork. It’s also very risky, as betting on the success of start-ups is an exercise in deploying risk capital and building a portfolio, much like underwriting insurance risks. Is it a good thing for re/insurers to be adding risk on their asset side, by investing in young, unproven insurtech startups? Time will tell. Another area of new and growing spend is on efforts to increase efficiency, reduce spend on reinsurance or retrocession, and generally retain more of the risk premium that a company generates through use of its intellectual capital in the first place. This continues to be a theme in the market – that an insurer or reinsurer would like to retain a greater percentage of the value that it’s underwriting work has created. Ways of achieving this include internalizing reinsurance, establishing joint ventures with asset managers, leveraging third-party capital, investing into primary insurers, MGA’s or other vehicles that can deliver premiums more directly and also help remove premiums from the broader syndicated reinsurance market. Acquisition costs have also been on the rise, for some companies more than others, which perhaps reflects the fact that the playing field is not always level when it comes to generating a flow of underwriting business. It’s also perhaps a reflection of tiering in the reinsurance market in particular. Even brokers are seeing expenses rise in the current environment, as they too look to embrace technology, invest in insurtech initiatives, and find ways to more directly channel risks through to capital. Some of these initiatives are blurring the lines between underwriting and broking, as follow-form facilities result in capital following the development of brokers books. Additionally brokers are being forced to spend money to improve client services, adding value through technology, data, add-on services, enhancements to customer experience and providing exclusivity. New hires are costing money on both sides of the market, underwriting and broking, as it takes time for returns and incremental profits to be seen from additional headcount. With the headcount typically focused on expansion into new lines and geographies, or efficiency for the management of new ventures and third-party capital, the real-returns may take some time to be recognized. Analysts also noted that expense ratios were “higher than expected” at a number of the major insurance and reinsurance firms, with no real expectation that they would be reducing again soon. Other analysts explained this year that start-up expenses for units in markets such as Lloyd’s of London, or third-party and ILS capital management ventures, will also take time to pay off. In a market where profits are being eroded, having large start-up costs to pay may be a burden for longer than expected. Finally there seems an expectation in the market that for some of the very largest reinsurance firms there will also be a steady upwards creep in expense ratios, driven by expansion into structured products, complex corporate insurance covers, a proliferation of more customized solutions and costs associated with the time it will take to expand into new lines of business such as cyber risk. Of course this raises questions and one has to wonder whether in a new normal where reinsurance returns on equity (RoE’s) are considered to be declining fast, just how quickly can the increased spend be turned into increased profit, or better returns. 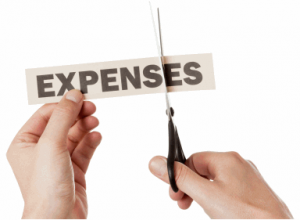 While the reinsurance market remains free of major losses, as it has for a number of years now, reinsurers can likely get away with spending more on these expense line items. But if losses leap upwards, the increase in expense ratio leaves even less room for movement for reinsurers, who could find their RoE’s even lower than currently forecast, when catastrophe loss loads normalize over a number of quarters. The real hope with all of this spending is that both top-line and bottom-line growth will ultimately be achieved, through a combination of efficiency and expansion. For reinsurers this remains a delicate balance right now, as their profitability cushion has shrunk dramatically in recent years and any extra expense now needs to be justifiable, and also able to contribute to profitability as quickly as possible. With a significant amount of the incremental expenditure also likely to result in further disruption or disintermediation of the market, or even the potential to erode their own profitability further (if poorly executed or controlled), it will be interesting to see how successful this spending spree is. For shareholders of insurers and reinsurers that are spending more, it’s vital to ask the questions of management as to how capital is being spent and what the return on investment is expected to be. And those investing in insurtech, ask what hiring has been done to manage this portfolio of risk assets that many re/insurers are building. With insurance-linked securities (ILS) players governed a little differently, in that their expenses are largely capped in terms of maximums, as they are paid in percentages of return and in management fees, there has also been increased spend. But perhaps ILS fund managers are better aligned when it comes to spending more money? As spending more of an ILS fund managers management fee means lower profits for the manager themself, suggesting spend needs to be made extremely wisely and there is perhaps greater alignment here. Do reinsurers have a similar alignment of interest with their shareholders and investors, in terms of expense ratios? Perhaps for those incentivized on controlling such items, or targeted on the combined ratio. Tough questions will be the order of the day for any company that sees its expenses rise and that fails to profit from the additional outlay. Shareholders and analysts won’t put up with spending that delivers no new returns, even if the market is tough to navigate. – Realistic reinsurance RoE’s down to 3.4%, expenses up: Willis Re. – Reinsurance expenses up, returns down, but profits continue: Aon. – Expense efficiency becoming vital as re/insurance ROE targets drop. ← Older article L&G sees £16bn+ longevity swap pipeline, aims to take strategy to U.S.
L&G sees £16bn+ longevity swap pipeline, aims to take strategy to U.S.